I found myself in London for work purposes today. I was taking part in the #ourNHS march and rally. Politics over but that’s what the mention in the video was referencing. 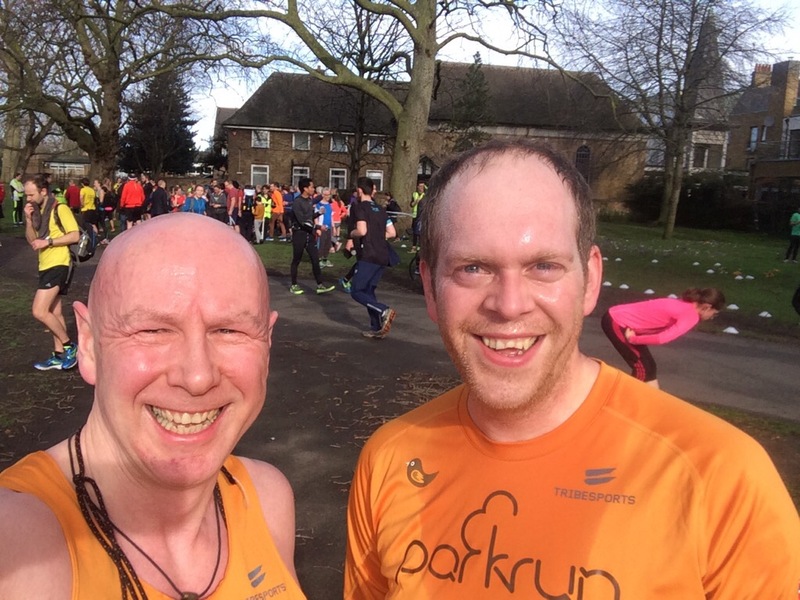 So there I was and I decided to squeeze in a parkrun along with my compadre Dave before work began. Southwark parkrun was picked as a suitable destination. It’s flat, fairly fast with a few twisty turns in places. The first time we encountered the twisty corners it was a bit busy, so keep your wits about you. By the second and third circuit, the participants are well spaced and it’s not an issue. There are toilets and a place for a cuppa but with time pressing we didn’t have the time to spare for either. If you come out of the underground at Canada Water station there’s a Tesco nearby, where you could nip in for a “wee” if you needed to. This was Dave and me, smiley and dry before the run. And this was us, smiley and not so dry afterwards. I acted as Dave’s pacer today and encouraged him to a new 5km personal best. It’s great helping someone along in this way and if anyone what’s a support runner I’m happy to oblige, I can’t cater for super speedy, whippet-like, folk though. 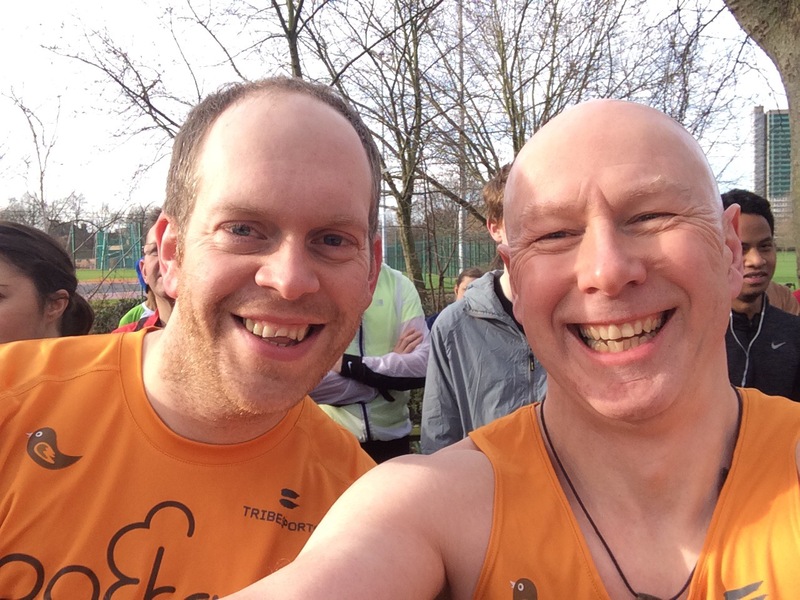 Finally we have the post run video, parkrun number 108 for me and the 35th different venue. Great fun and thanks again to the core team and their volunteer team.